IT ALL STARTED in a pâtisserie-boulangerie in the Loire Valley. What may sound like the beginning of a fantasy fairy tale is actually the start of Chef Franck Garanger’s culinary journey. 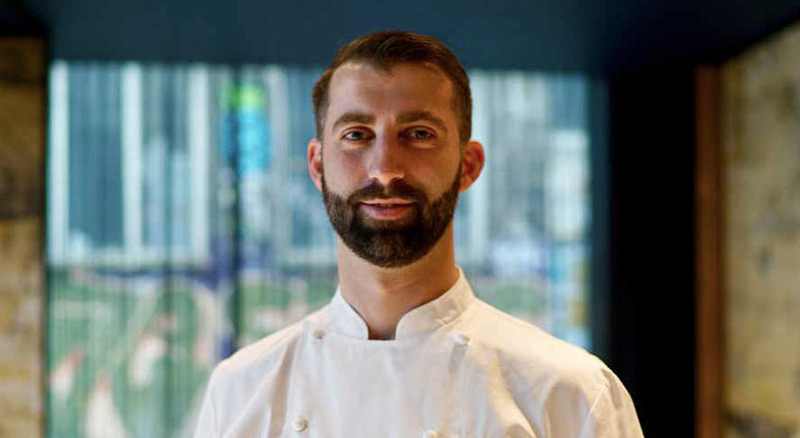 Inspired by watching his father in the family-owned operation, Garanger went on to work at and with culinary greats, including Hôtel du Cap-Eden-Roc and Silversea Cruises, and chefs Alain Passard and Thierry Marx. 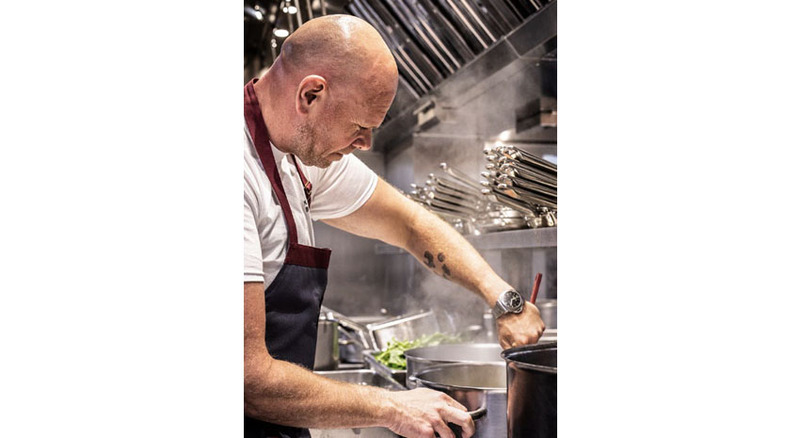 Since 2003 Garanger has served as the fleet corporate executive chef for Oceania Cruises, sharing the cruise line’s passion for serving only the finest cuisine at sea while blending flavors from all over the globe. 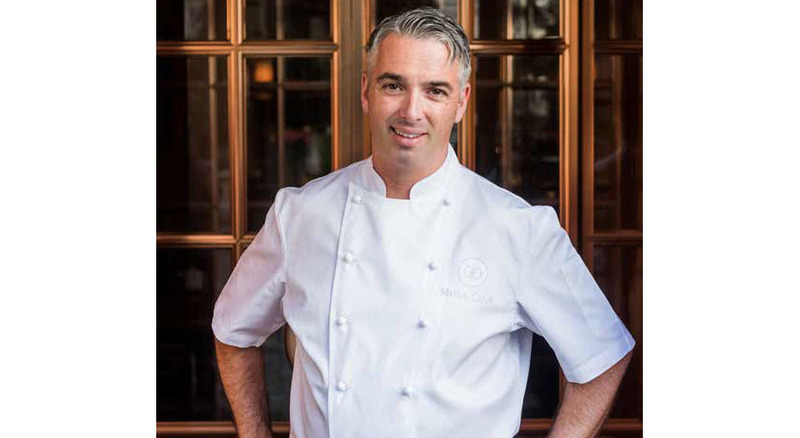 Among the chef ’s many accolades are the prestigious Maitres Cuisiniers de France 2008 and recognized membership in the Academie Culinaire de France. WHICH DESTINATIONS INSPIRED YOU, AND HOW HAS THAT INSPIRATION TRANSLATED INTO YOUR COOKING/MENUS? Definitely all of the Mediterranean basin, from north of Africa: Spain, where I live; Italy; Greece; France; Turkey; and Israel. This inspiration is reflected in our menu variety — especially in Terrace Café, which I consider one of the most important restaurants on board because of the large selection of dishes from all over the world served every day and evening. I spend a lot of time with my chefs going to local markets and choosing fresh fish and vegetables for special theme dinners on board. We always aim to emphasize local influences through our ingredients and recipes. Since my chefs are mostly French and Italian, we have many “secret” recipes from our mothers and grandmothers that we share among ourselves. I had the privilege to train with Paul Bocuse and his team for the Meilleurs Ouvriers de France competition in 2008. This is a nationwide competition held every three to four years to celebrate outstanding French artisans in many different creative trade professions, including culinary. Bocuse was the first to bring chefs to the forefront — but only by working hard and demonstrating a commitment to excellence, not by being a chef TV star as many in the younger generation do now. 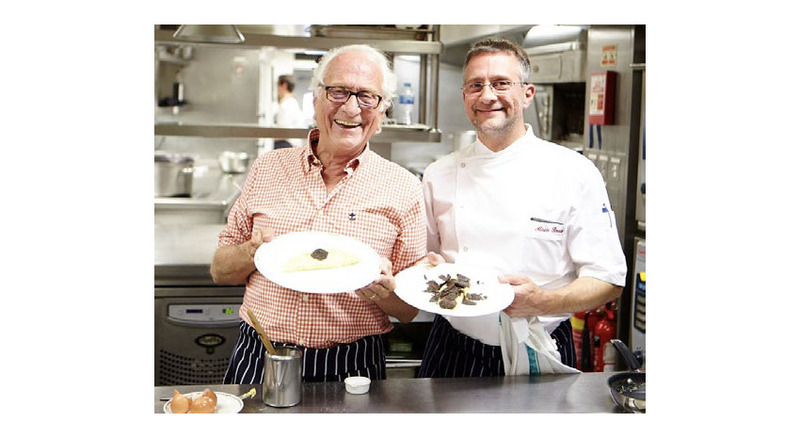 At the age of 91, he still runs a three-Michelin-star restaurant with his M.O.F. team since 1965, making him the oldest three- Michelin-star restaurant owner in the world. It was my apprentice chef, Jean Francois Piers, French Master Chef. I was an apprentice for two years in a Michelin-star restaurant in Angers, where I grew up. Chef Piers was a fantastic chef; everything was homemade, and we learned so much. I was an apprentice at ages 15–17, and then he sent me to Hôtel de Paris in Monaco. I can’t ever thank him enough for all I learned. Travelers look more and more for authenticity in flavor and organic ingredients. There is a big movement of going back to true cooking with real tradition, technique and taste, far from molecular cuisine. On Oceania Cruises, we pay attention to all of this — you must begin with excellent ingredients, and there are so many stories and traditions tied to the dishes we prepare, inspired by family recipes and our travels around the world.